Graphic novels aren't just for superheroes! 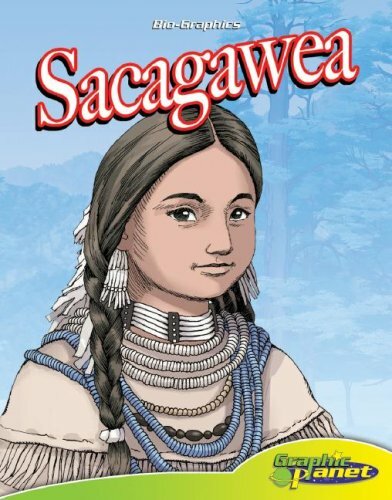 Sacagawea has been plucked from history books and her life and accomplishments have been depicted in an informative nonfiction graphic novel. The subject's early life, education, contributions have been skillfully told with detailed art. Further reading lists, timelines, glossaries, and indexes make these titles useful in classroom discussion. Graphic Planet is an imprint of Magic Wagon, a division of ABDO Publishing Group. Grades 3-6. "The books are certainly more accessible than most standard nonfiction titles."